Receive a $5,000 donation to make your park safe! 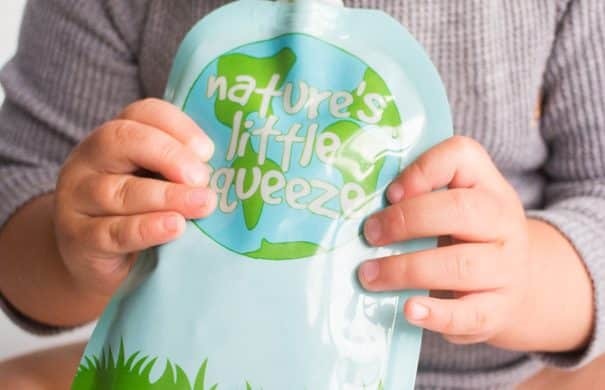 Easy to make fruit puree pouches – perfect for baby and toddler! 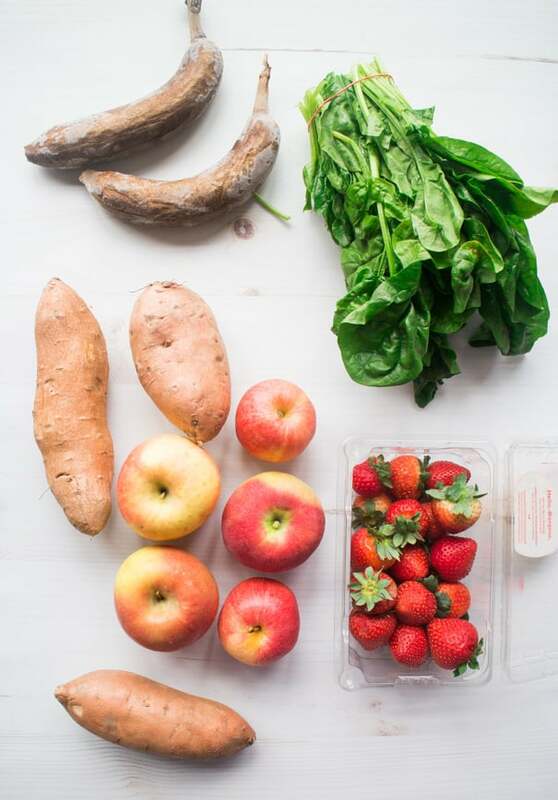 My daughter is anemic, so I came up with this Spinach Sweet Potato Fruit Pouch recipe to give her more Iron Rich foods! She loves these! 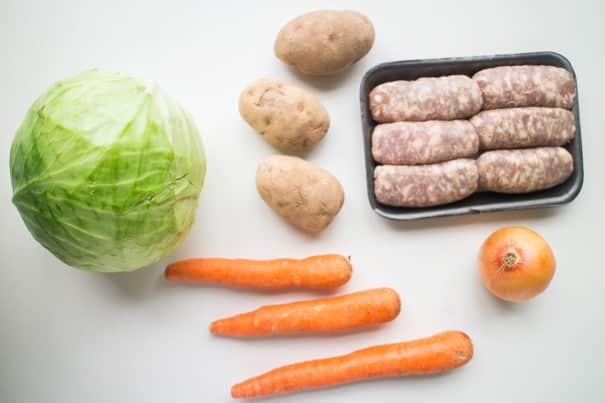 When we went to our 15 month old doctor’s appointment, we found out that Enceladus was anemic and that she needed more iron rich foods in her diet. She was drinking too much milk, which was causing iron not to be absorbed. Iron Deficiency is fairly common with toddlers, especially when they drink a large amount of milk everyday. On average, doctors say toddlers shouldn’t have more than 24 ounces of milk, but even at 16 ounces of milk a day Enceladus was anemic. 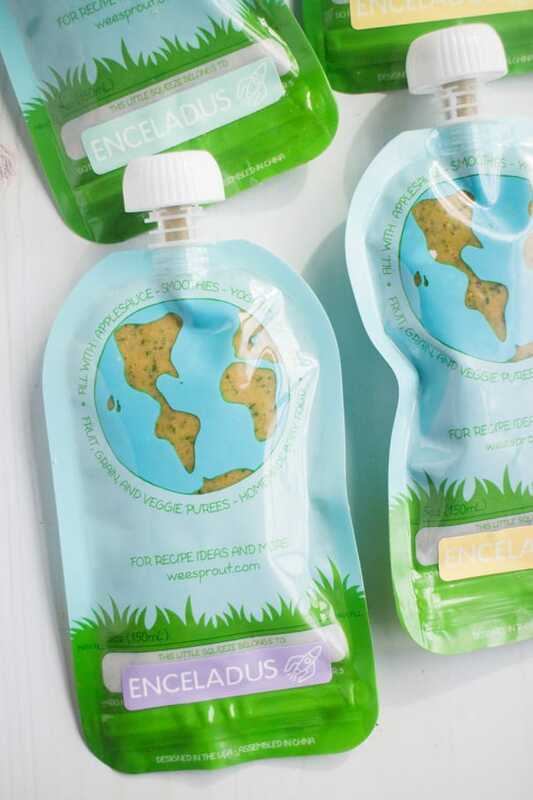 Always being one to try to naturally cure things, I came up with this Spinach Sweet Potato Fruit Pouch, which helped her get her iron levels to where they needed to be! Many of my readers loved my Butternut Squash baby food, Baby Pumpkin Pancakes and Sweet Potato Cookies, so I hope you love this recipe too! Leafy dark greens are one of the best sources of iron, such as spinach or kale. If you wanted to substitute kale for spinach in this recipe, go for it! I find that spinach works for taste and in general, kids love it in fruit puree! Sweet Potatoes are a great iron rich food too, so that’s why I’m including both spinach and sweet potatoes! Cheesy Broccoli Stuffing Casserole recipe made with Stove Top! 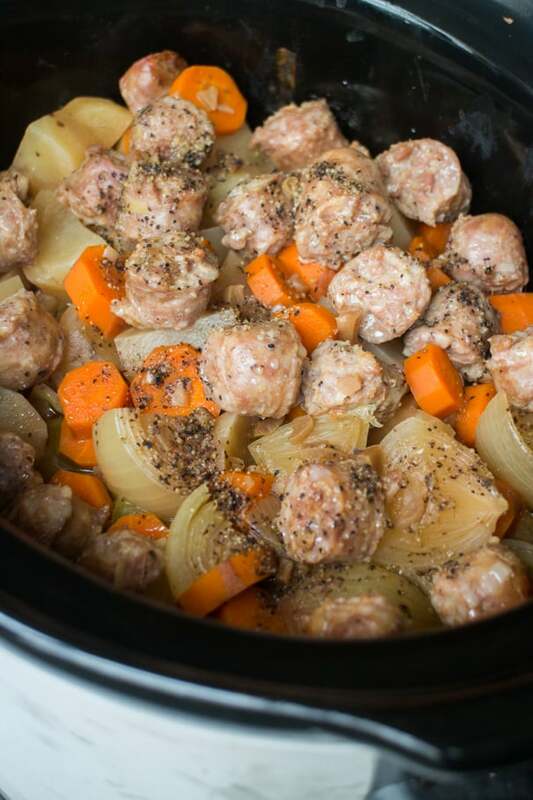 This is one of my family’s favorite Stove Top Stuffing Recipes to make! This is a easy dish made with frozen vegetables, cream of chicken soup, rice and Velveeta cheese! 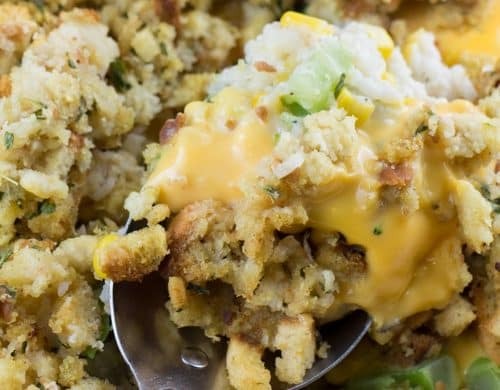 It’s one of my favorite meals to make with Leftover Thanksgiving stuffing! Are you asking yourself “What to do with leftover stuffing?”? 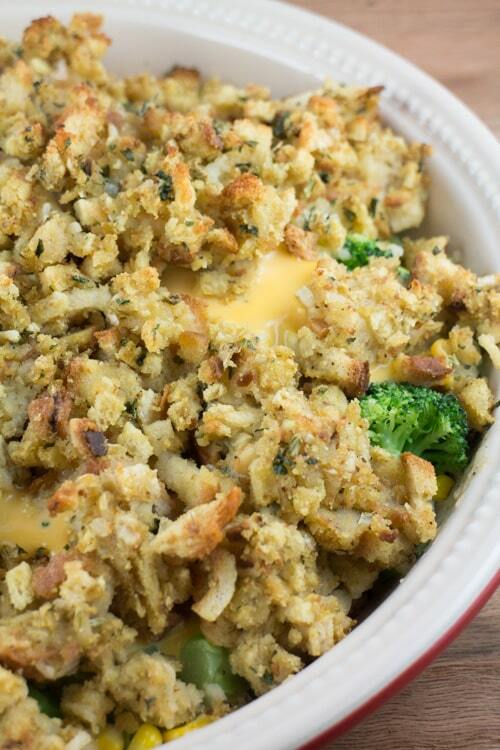 This is one of my favorite dishes to make with leftover stuffing! No matter what stuffing you have, just follow the recipe and add your own stuffing! 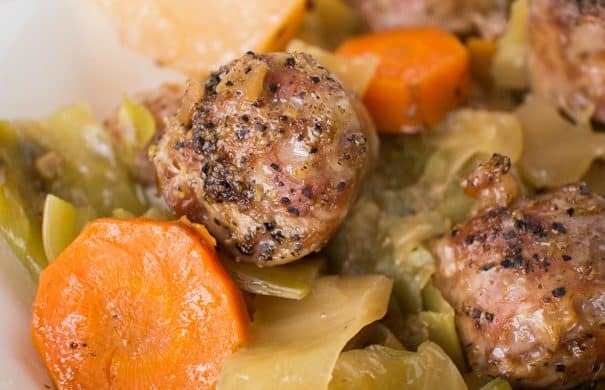 It makes for a great casserole a few days after Thanskgiving when you’re sick of turkey! What’s one of my favorite parts of Thanksgiving? 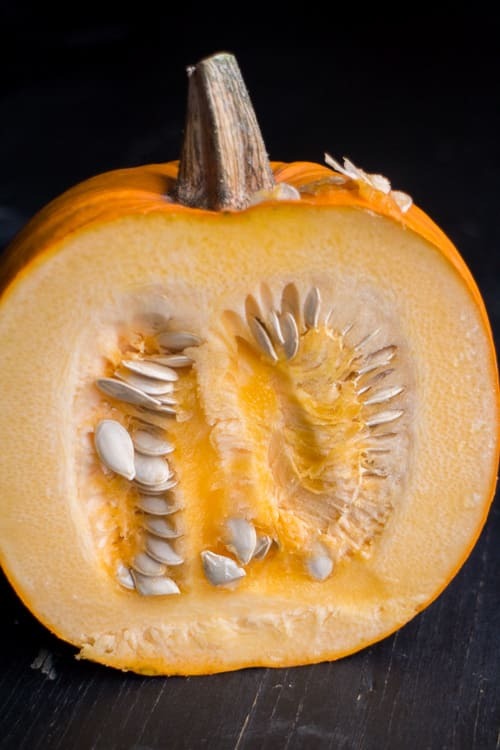 No, not the pumpkin cream pie. And no, not watching A Charlie Brown Thanksgiving. Although I love both of those. 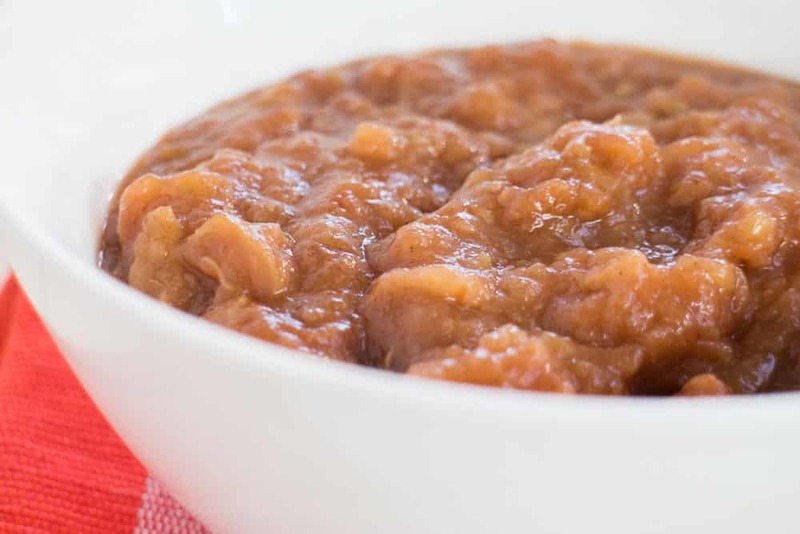 My favorite is…..
Oh baby, I love leftovers! It’s like Thanksgiving for a week straight! Each night is turkey in new ways, mashed potatoes on the side and plenty of vegetables. One night it’s turkey sandwiches covered in homemade gravy. The next night is Thanksgiving dinner on Saturday again. And then comes the casseroles. What do do with leftover stuffing? 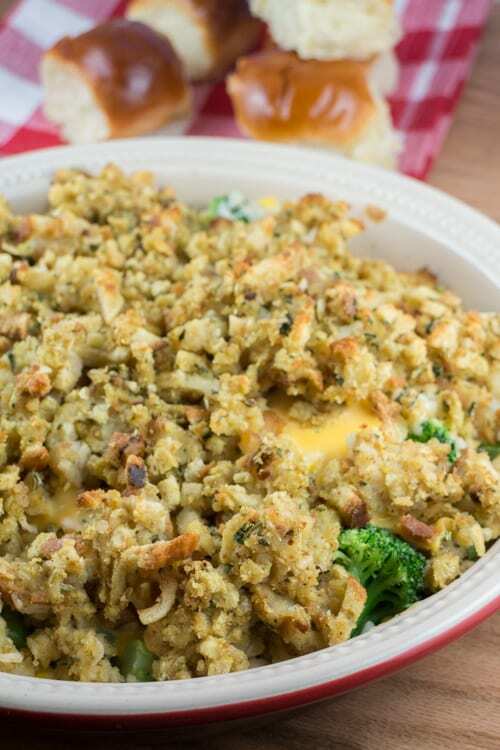 This Cheesy Broccoli Stuffing Casserole is my favorite Stove Top Stuffing Recipes! Not only does it make a perfect side dish for holiday meals, bu it’s the ultimate leftover meal using a bunch of stuffing. And what else do I love about leftovers? Saving money. Thanksgiving dinner is great because it’s literally 1 meal that feeds you for the next week. This casserole besides being cheesy and delicious and mouthwatering and made of dreams (I like it, ok!) only has a few ingredients. There’s stuffing, frozen corn and broccoli, cream of chicken soup, white rice and cheese. 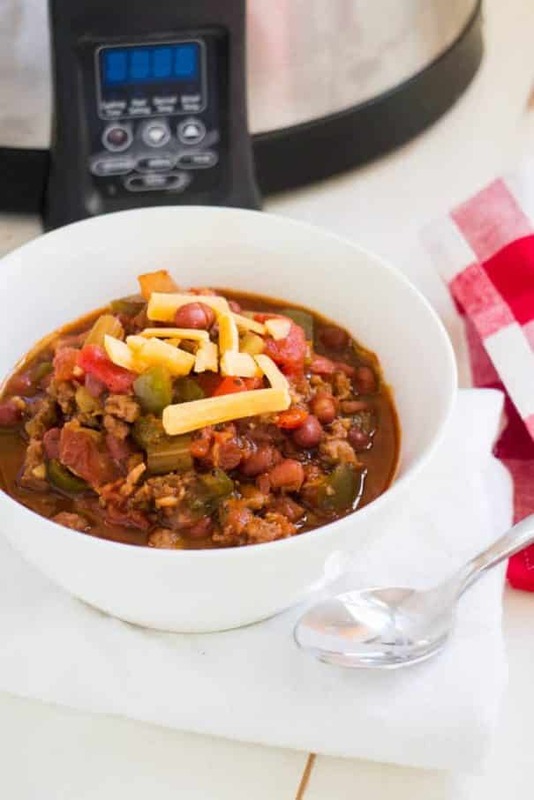 PAMELA’S Slow Cooker Pork Chili is made with BACON and SAUSAGE! 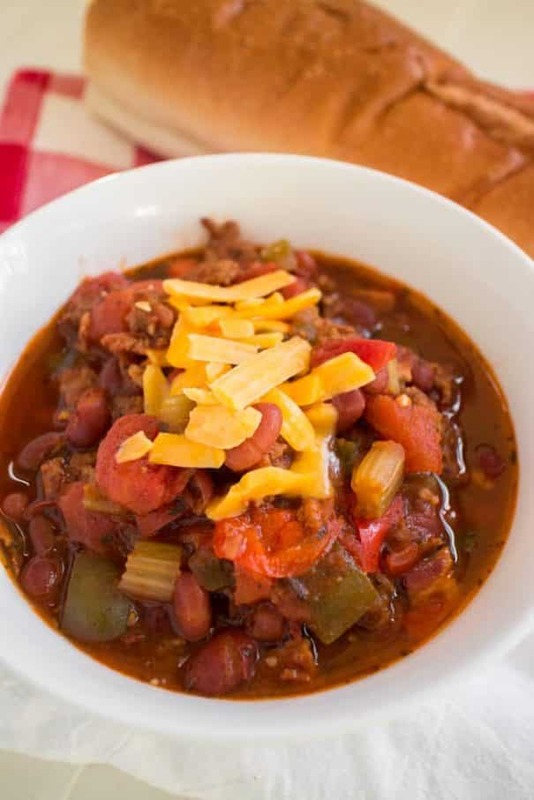 This pork chili is one of the easiest crockpot recipes with diced tomatoes and beans! If you’re looking for dinner ideas to make as your family’s favorite comfort food dinners, then this it! Ready in 6 hours on LOW. Serve with shredded cheese and a big piece of crusty bread! With the temperatures feeling like single digits, I’ve been craving a nice (big!) 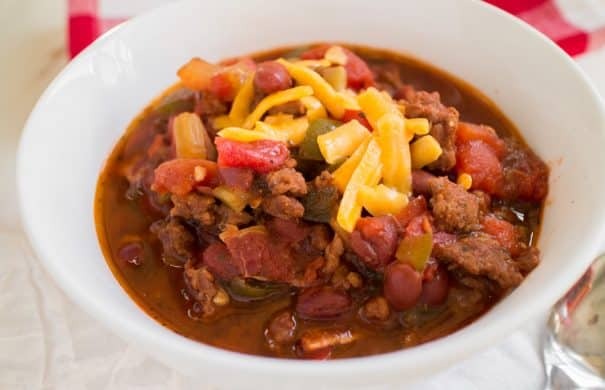 bowl of warm chili. But without having to put too much energy into it! That’s when I start looking for dinner ideas that involve my favorite kitchen tool- the crockpot. I decided to up my chili game one notch and create Pamela’s Pork Chili filled with bacon and sausage! Doesn’t it look delicious? It tastes it too! 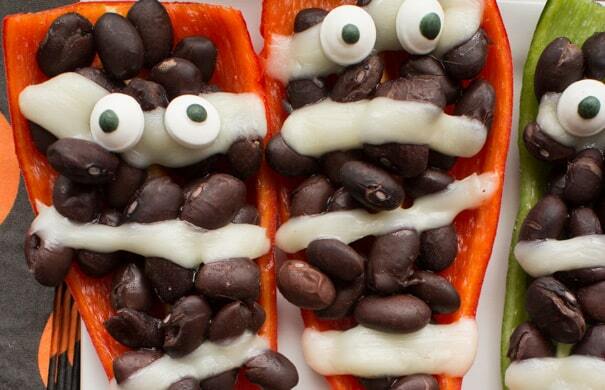 EASY Halloween Stuffed Mummy Peppers recipe for parties and kids! 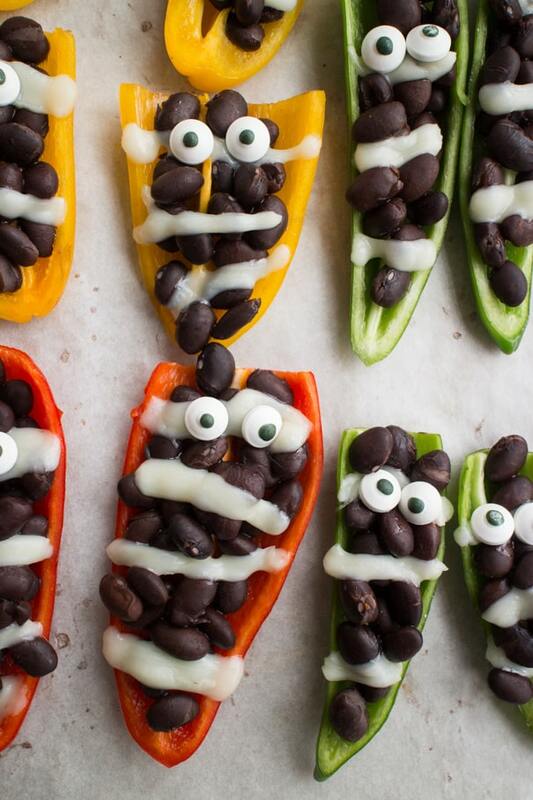 These mummies only require 3 ingredients and make the cutest appetizer for a party! 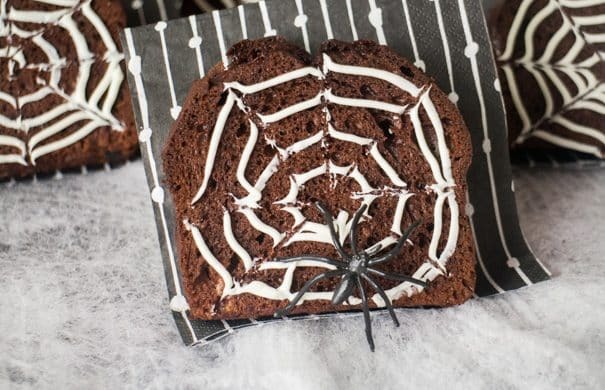 This is one of my favorite Halloween food ideas! Thank you Cacique® for sponsoring this post. Visit your local grocery store to pick up your fave Cacique® product for a delicious dinner tonight! 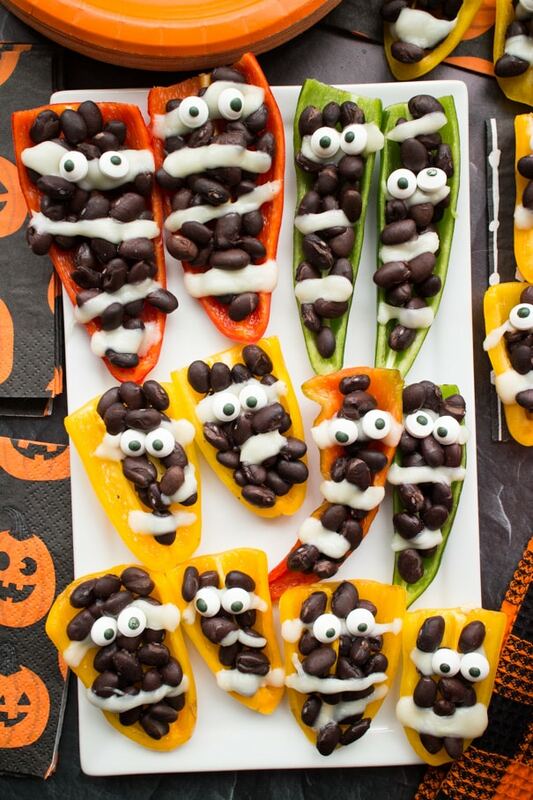 I am so excited to share these Halloween Mummy Peppers with you because they are so cute, I’m not sure I can handle keeping them a secret anymore! So here they are! They’re so cute, right? And even better, they are so easy to make! 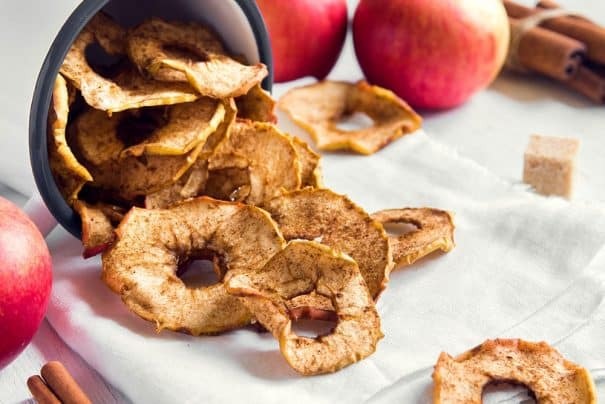 If you’re looking for the perfect finger food recipe for Halloween parties – then look no further! 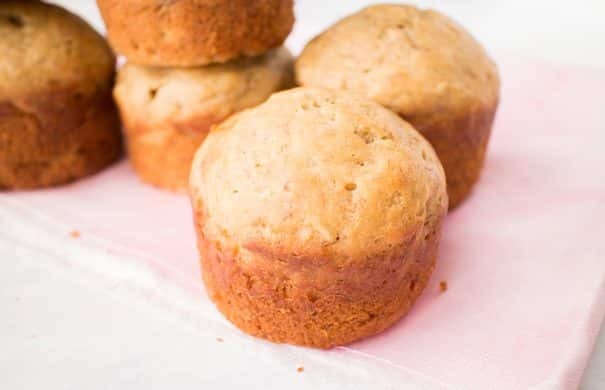 EASY Moist Banana Muffins Recipe made with yogurt! 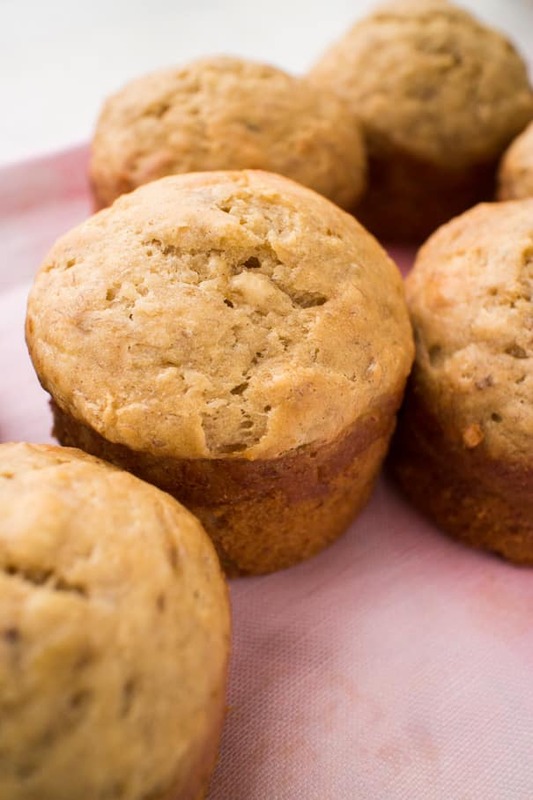 These healthy muffins only need 2 tablespoons of butter and 1/4 cup brown sugar! 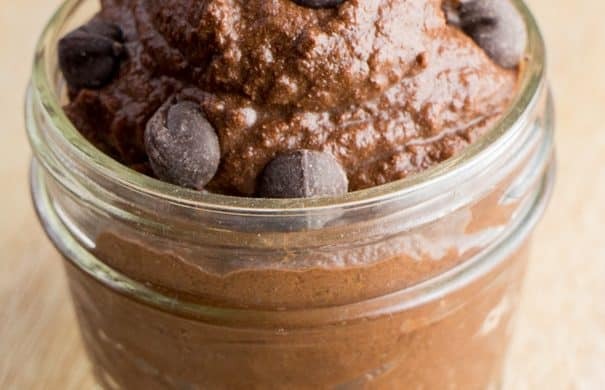 My entire family thinks these are the best muffins for breakfast and dessert! These banana muffins might be my proudest baking moment this Fall – they’re so soft and delicious! They’re made with simple ingredients that you probably already have in your kitchen! 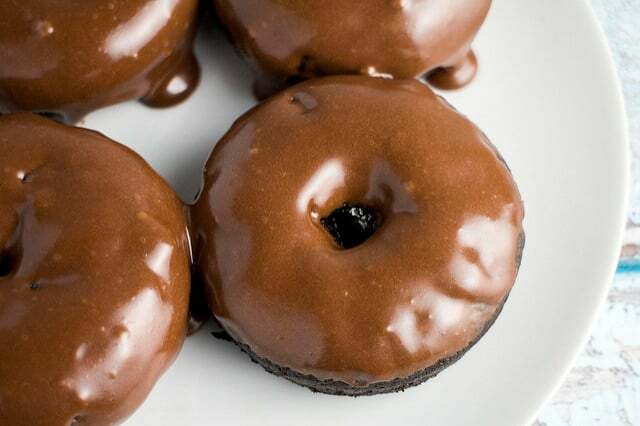 The addition of yogurt in the batter makes them moist and tasty. They have become my favorite breakfast and afternoon snack (to be served with some tea/coffee as an afternoon “pick me up!”). 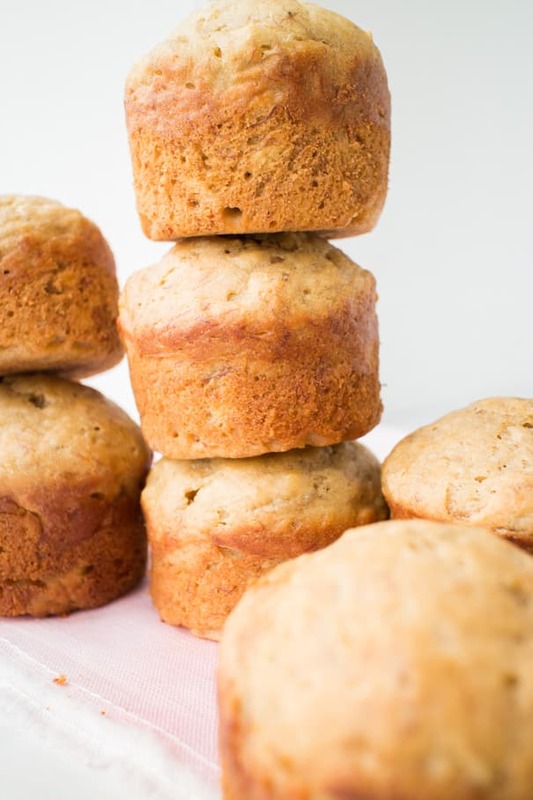 If you loved my mini banana muffins and mini coffee cake muffins, then you’re going to love these full size Moist Banana Muffins! Not only can yogurt be your favorite breakfast food, but did you know you can easily combine it into baking to make baked foods lighter? That’s right, think moist cakes, cookies and muffins – all good candidates to make with yogurt! Because these are banana muffins, I used Stonyfield Organic Banilla yogurt which has the perfect combination of banana and vanilla for this dessert! 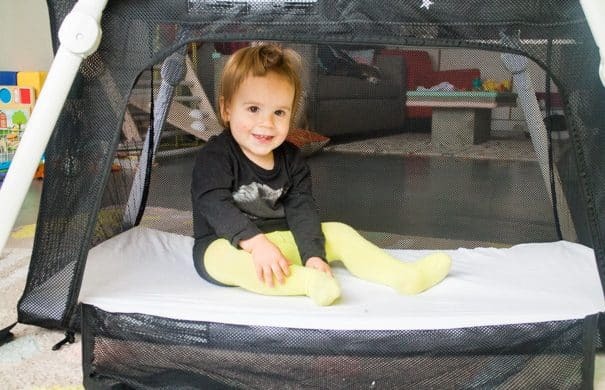 Real Mom Review of the Lotus Travel Crib, the lightweight pack and play that makes flying and airports so easy! Great for toddlers and babies! Trust me you need this! When we were looking for a “pack and play”, I found that none of them were fitting our needs. We wanted something light, easy to travel with, and honestly, I wanted something that matched our modern apartment aesthetic. What’s a girl got to do to get a travel crib that doesn’t have hideous prints on it? Then I found the Guava Family Lotus Travel Crib. It was everything I wanted. Yes, let’s get my favorite feature out of the way. 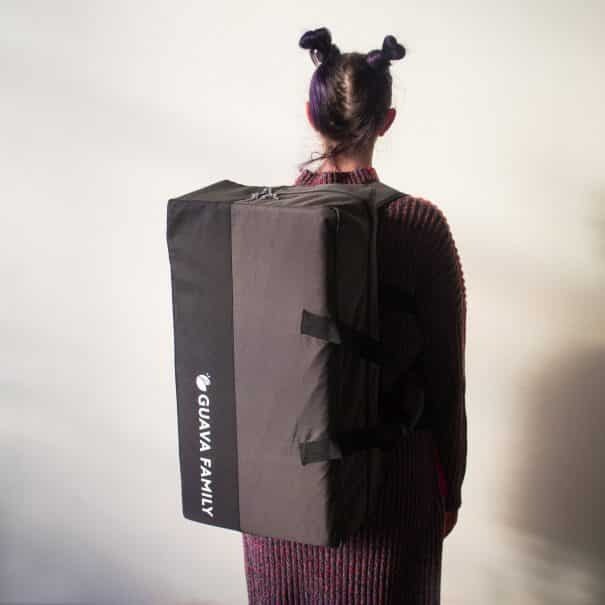 If you’re going to travel with this, from airport to hotel, and everything in between, you can wear this in bookbag style. I can easily wear this and get through airport security while carrying a toddler, so you can too. HEALTHY 7 Layer Taco Dip is easy to make with tomatoes, corn, lettuce, pinto refried beans, green pepper, and cheese! Ready in 10 minutes! 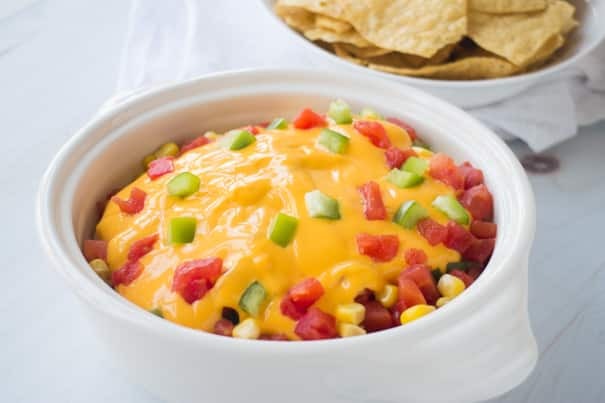 This Mexican dip is made without cream cheese or ground beef! Serve hot or cold! This is a sponsored post written by me on behalf of Mission®. All opinions are entirely my own. I can eat this 7 Layer Taco Dip with a spoon, it’s that good. But I would suggest serving it with Mission Organics® Yellow Corn Tortilla Chips instead, so you don’t scare your guests away! This Taco Dip is always a favorite at parties! Why? Because it’s delicious and packed with real seasonal vegetables! 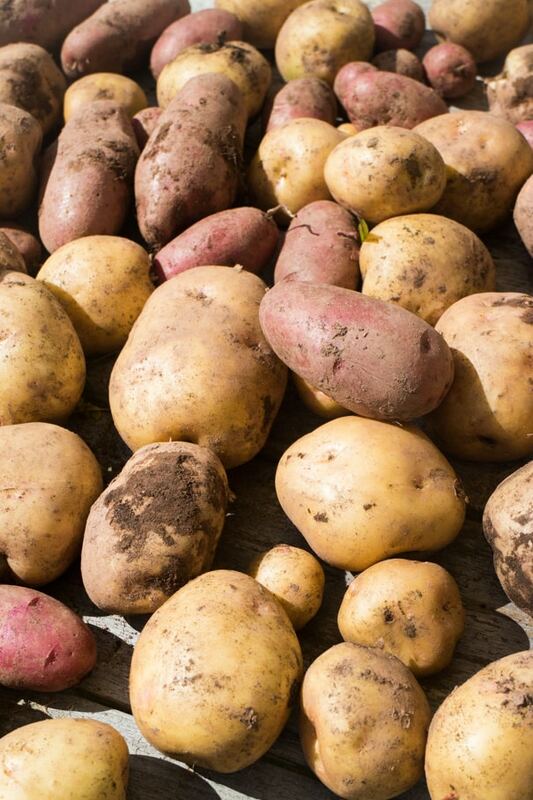 September is Organic Harvest Month, a time to discover new organic recipes! Organic recipes benefit you, your family, your community and the planet so it’s a fun time to support your local food co-cop, farmers market or backyard garden! 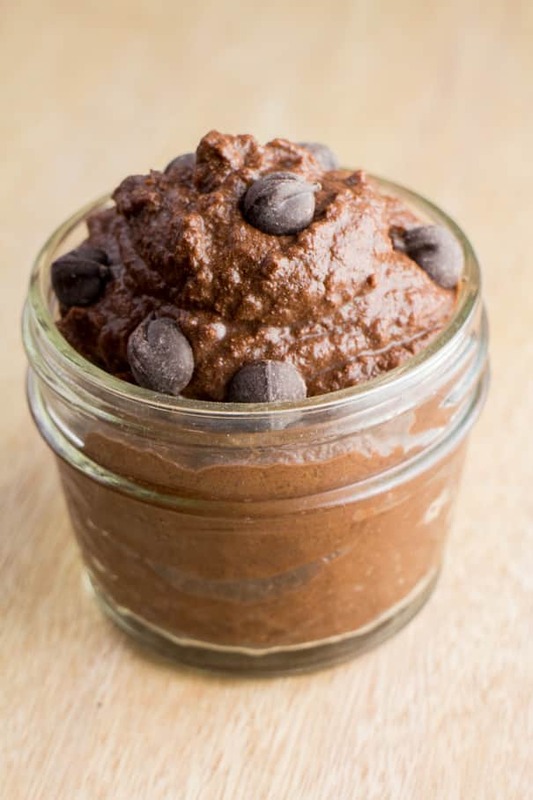 Not only is this dip tasty, you can also make it 100% organic along with your tortilla chips! EASY Halloween Guacamole Dip recipe – perfect for healthy Halloween appetizers and party food! This homemade recipe uses fresh avocados and canned diced tomatoes. 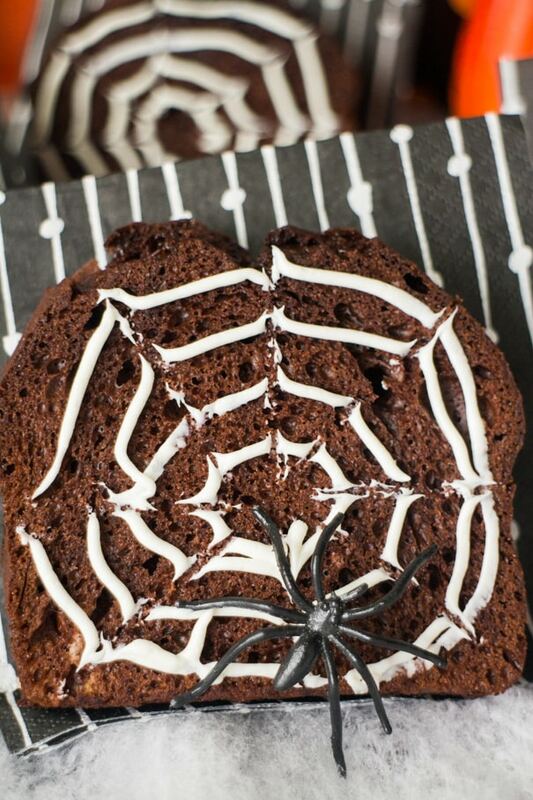 Provides DIY tutorial on how to make spiderwebs with sour cream! 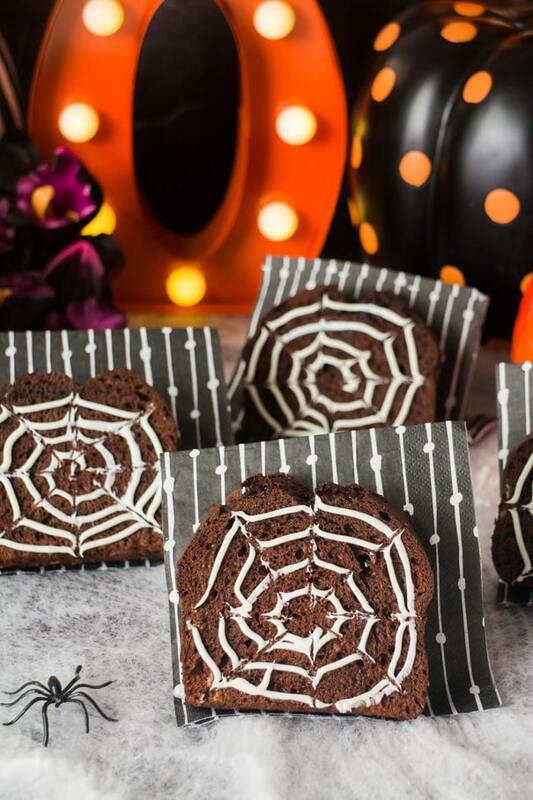 Are you looking for a spooky dip for your Halloween party? Look no further! 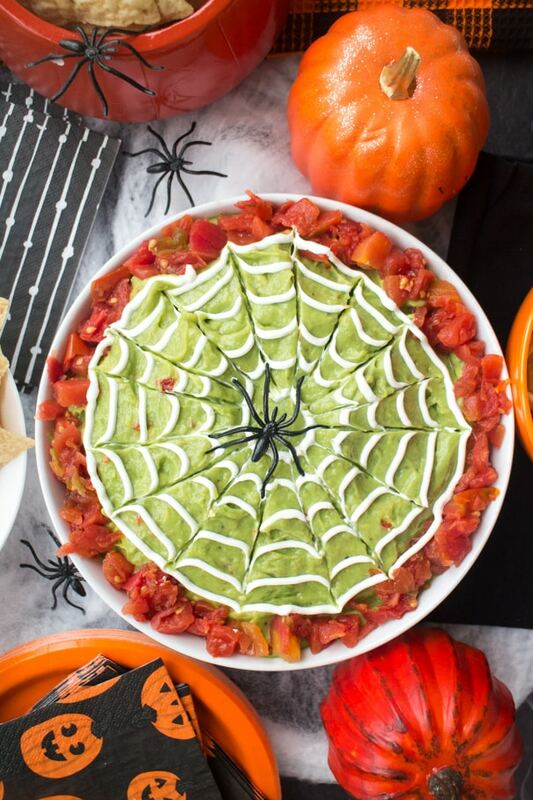 You’re going to love this classic guacamole dip with sour cream spiderwebs on top! 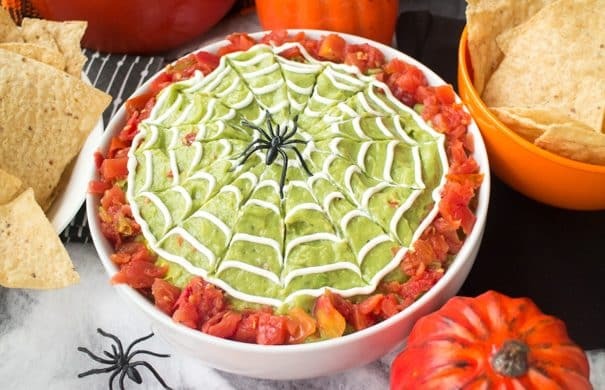 And don’t worry – this Halloween guacamole dip is easy to make! I even include a spiderweb tutorial video below to follow along! If you’re anything like me, then you love guacamole! This homemade guacamole dip is a classic recipe, made with fresh avocados and diced tomatoes. 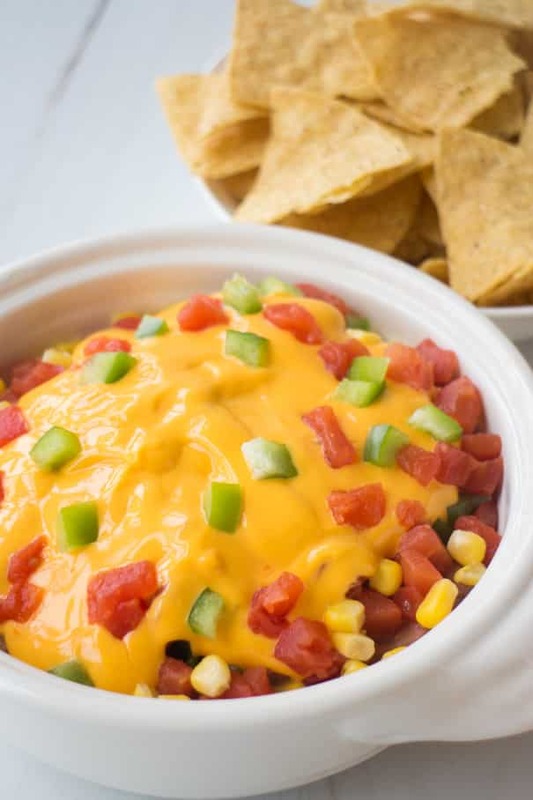 To make it super easy if you’re low on time, the recipe calls for canned diced tomatoes – some you use in the dip, and some you use to decorate the top. I like using RO*TEL diced tomatoes & green chilies because it gives extra flavor. 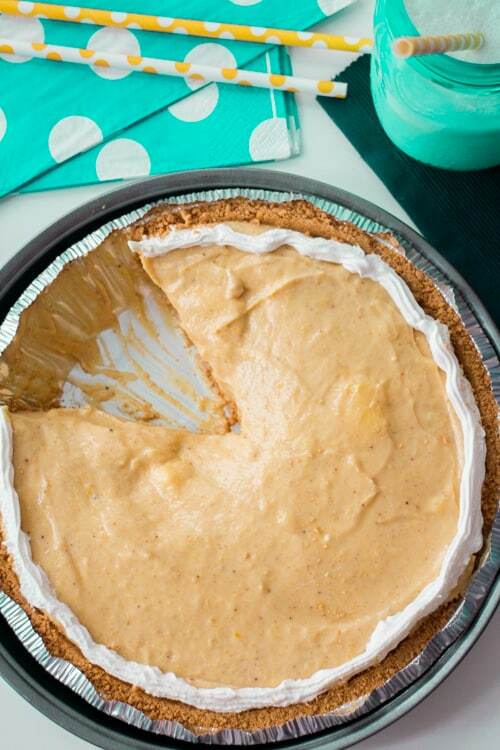 No Bake Pumpkin Cream Pie recipe! 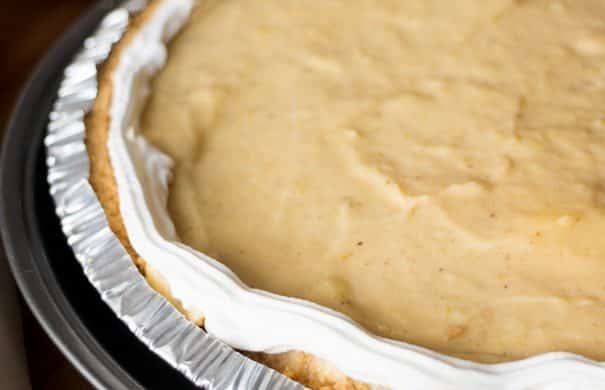 This pie is so easy to make! Ingredients include instant Pudding, Cool Whip, and pumpkin puree. 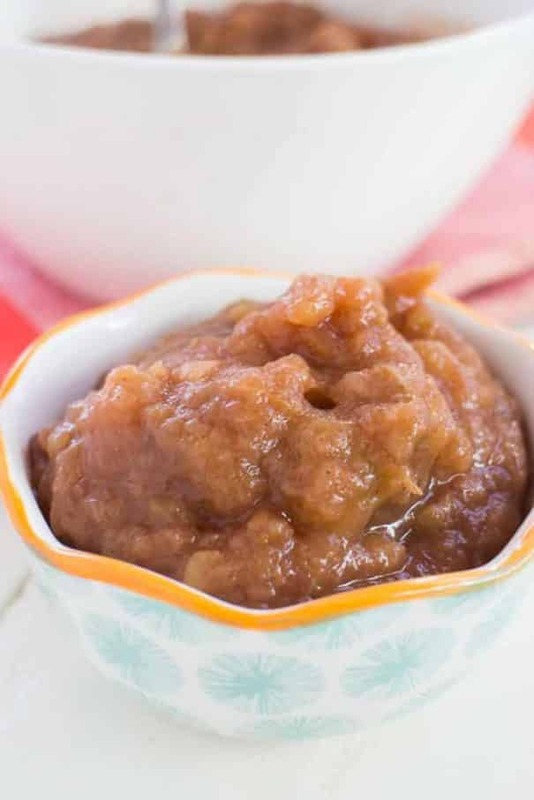 Try this for Thanksgiving dessert instead of the usual pumpkin pie! 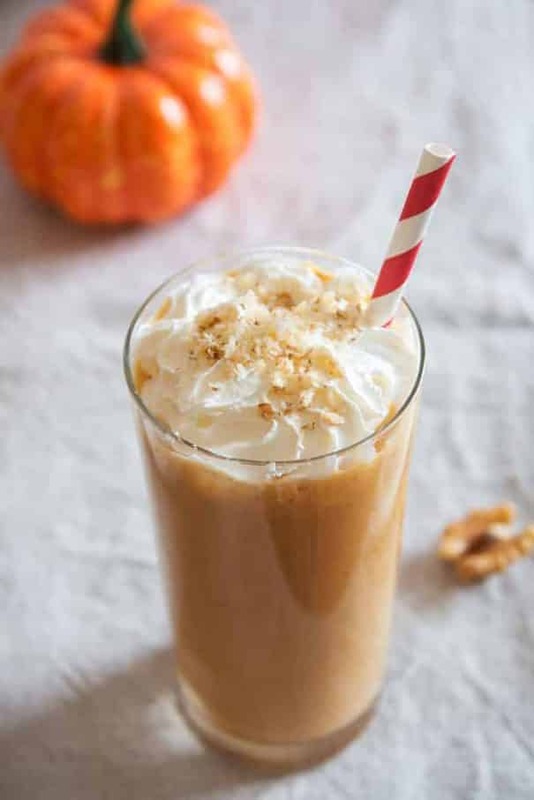 “It’s too early for pumpkin” is one statement you’ll never hear me say; Never ever. 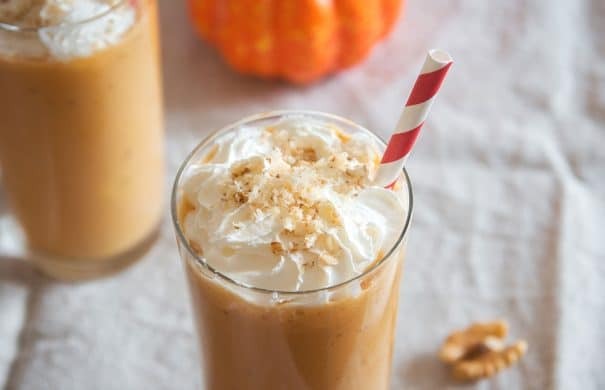 It’s always time for pumpkin, always. That’s why I start the day with these Pumpkin Pancakes and end the day with this No Bake Pumpkin Cream Pie! Hah. Because I have so much pumpkin love, we grow pumpkins twice a year. We have a few to harvest in the Summer and a few to pick in Fall. Fall’s pumpkins are already planted and have started to produce a few flowers. 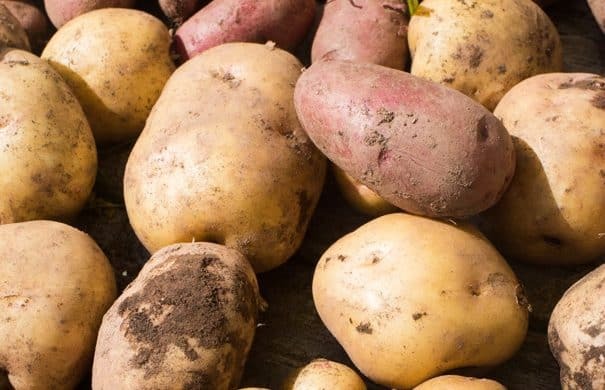 Tips On Making Your Garden Organic - How to Grow Food! Let’s make our parks safe for our kids! 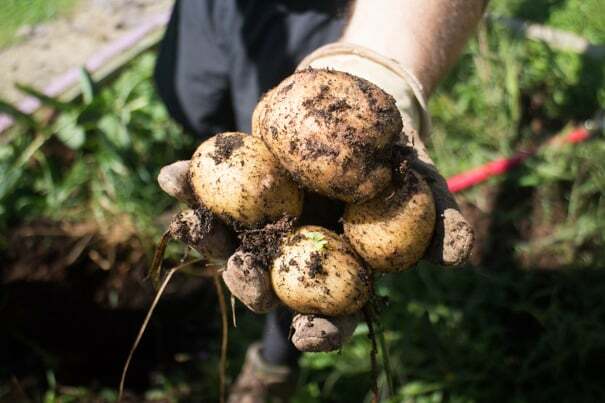 Learn more about how you can receive a $5,000 donation to make your community playing field organic! 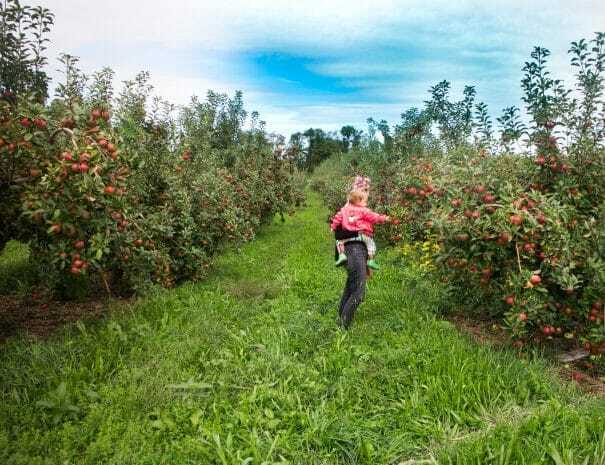 This is a sponsored post written by me on behalf of Stonyfield® FIELDS Initiative. 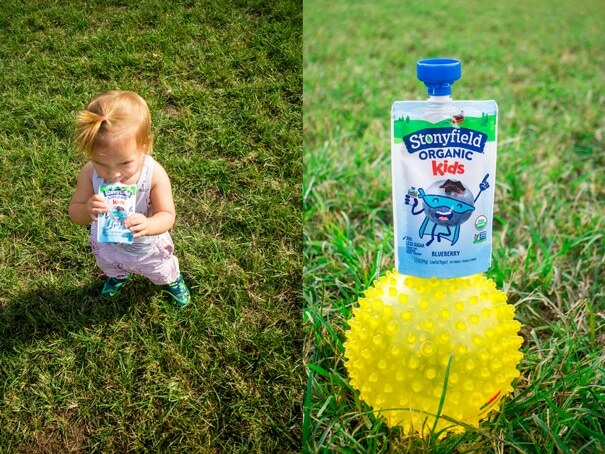 I’m back with more on StonyFIELD’s biggest mission! 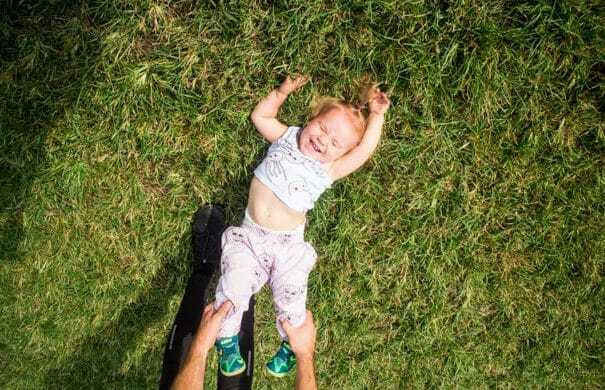 If you read my previous post, you’ll know Stonyfield wants to make every field in America organic by stopping the unsafe use of harmful pesticides on our kids playing fields and parks. Don’t you feel great knowing that some companies really care about you? That’s why we always buy Stonyfield yogurt! We really do always buy Stonyfield yogurt, but that’s beside the point. The big point is that when I was made aware that playing fields and playgrounds were sprayed with pesticides I was pretty shocked. So shocked that I contacted my city council people that day asking them about the play areas that Enceladus frequents. 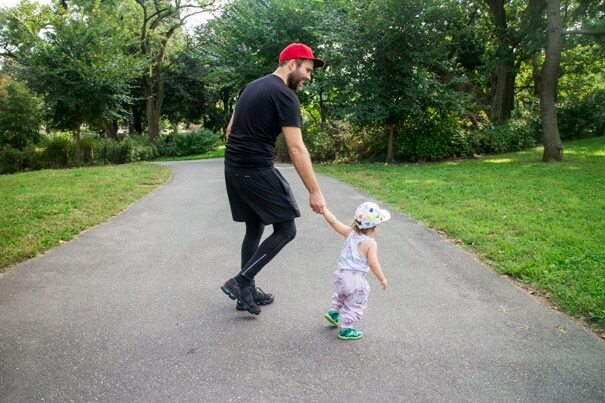 Thankfully, our usual playgrounds and parks in Brooklyn are safe, but unfortunately not everyone is so lucky. That’s why I really wanted to share this with you, from one mom to another. If you follow me on social media, then you know the park is our weekend spot. Enceladus, literally drags us to the park, ready to play. 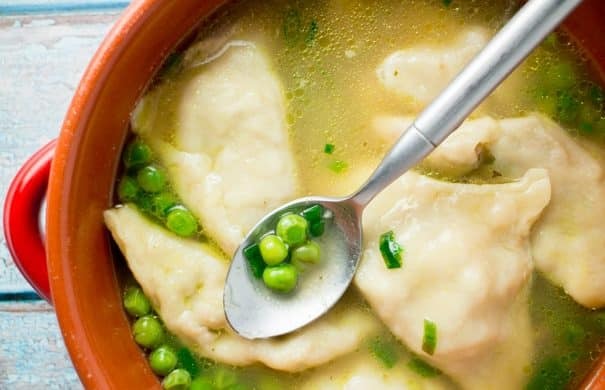 Homemade Chinese Wonton Soup recipe that’s authentic and easy to make! The wontons are made from scratch and the dumplings are filled with pork. It tastes just like your favorirte Chinese restaurant soup but much more healthy for you! I met Matthew during my first few weeks at Art School in Pittsburgh in 2002. Months later, we were dating. Months after that, we moved in (with Essy!). 15 years later, we’ve changed locations, added a few furry and human children to the family, and are still doing out art together. What else do we do together? We cook in the kitchen. I would say that I cook the majority of the meals that we eat for dinner, but once in a while Matthew cooks up dinner and it’s always delicious. One recipe he’s really into and made it his goal to perfect was homemade wonton soup. 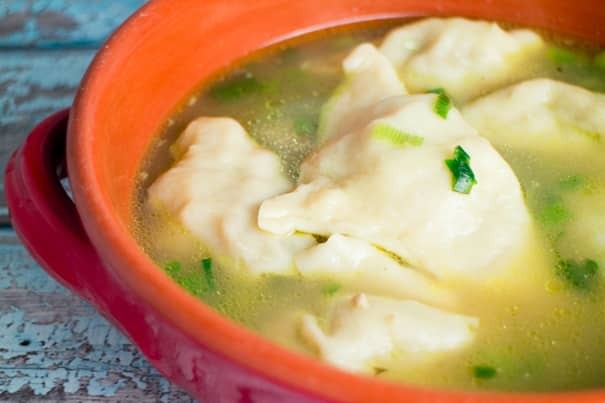 Wonton soup is a favorite of ours and is one of the most popular things we order from Chinese takeout (besides chicken and broccoli! ), but we wanted to make it ourselves, including making the wontons from scratch. Matthew was on a wonton kick for a few weeks, where he spent many nights in the kitchen rolling dough and trying different filler contents to add to the wontons. I have to say this recipe is the real deal and it receives a 10/10 on the “I Love You!” scale. Also, it tastes JUST LIKE the Chinese restaraunt – but so much more healthier because it’s homemade! Hey Sharif, thanks for commenting! Glad you enjoyed this recipe for breakfast! 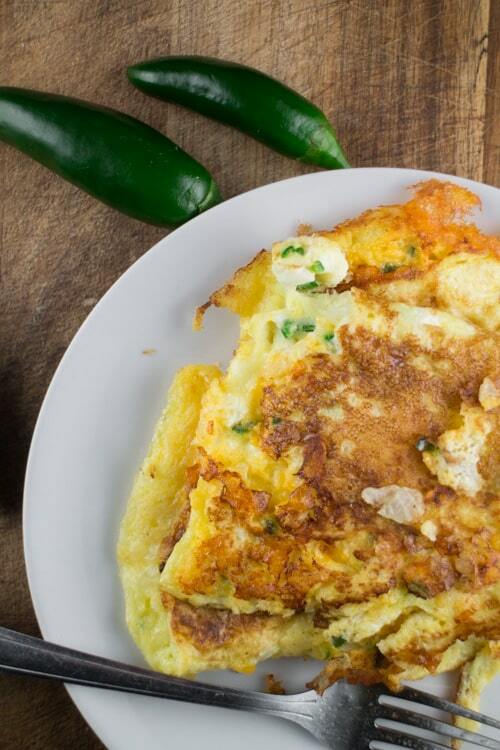 The truth is that I made this Cheesy Jalapeno Omelet for the first time in June. It was when the jalapeno plants in the garden started exploding with peppers all over. And then after I tasted it for the first time I knew I had to share the recipe with you guys. Now it’s October and the recipe is finally here. What took me so long? 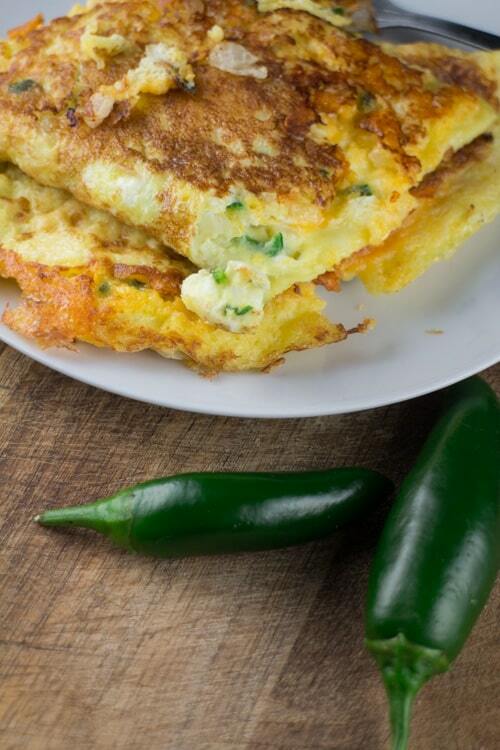 Well, I’ve been eating these Cheesy Jalapeno Omelets nonstop! This new keto diet has pushed us to our limits, trying out Keto Recipes and turning to the new healthy can be difficult when we don’t know which recipes actually qualify as keto recipes. 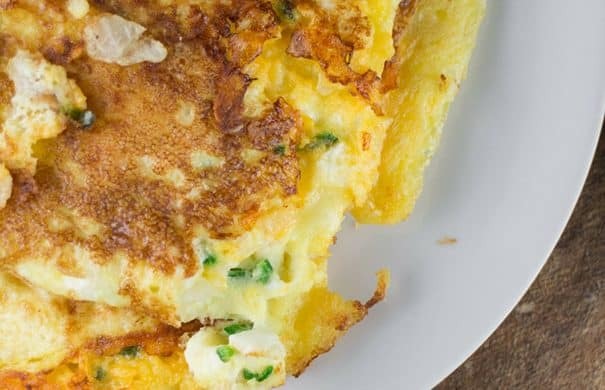 Whether it is cauliflower casserole or this cheesy jalapeno Omelet, I’m digging out new Keto Recipes each day. And this recipe makes for a great breakfast!